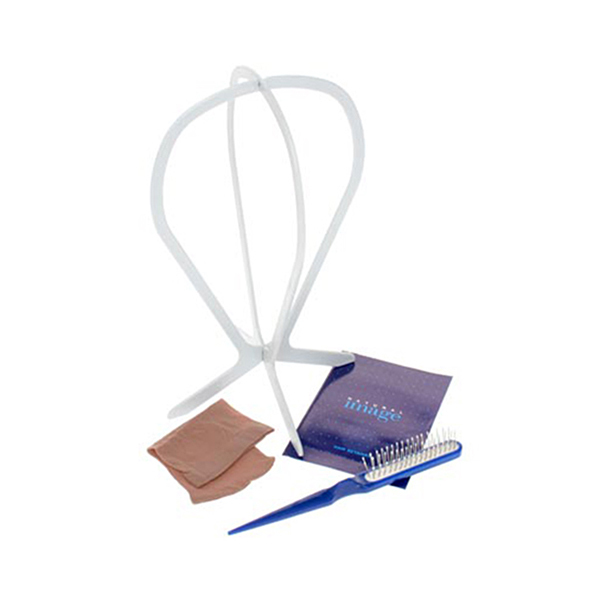 This essential kit for wigs is exactly what you need to keep your wigs in excellent condition. The Wig Cap is made from light fabric for a more comfortable fit while wearing your wig or hairpiece. The Brush is especially designed for wigs and hairpieces. It causes less damage to the wig hair compared to normal hair brushes. The fine toothed combs will glide through wig fibres, buffing them as they go. Use to create flicks, to create a smooth, sleek effect or to accentuate curves in the hair. The pointed handle is perfect for sectioning or creating partings. The Grey Collapsible Wig Stand is the perfect way to store your wig and to retain its shape.